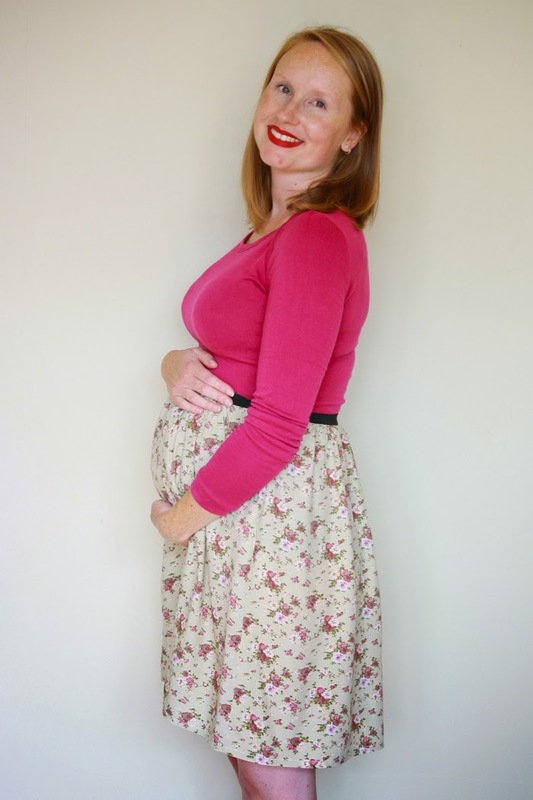 Me Made Maternity - Week 27: Squashed and Stretched and a Sale! I've been feeling particularly squashed this week and at the same time, stretched. 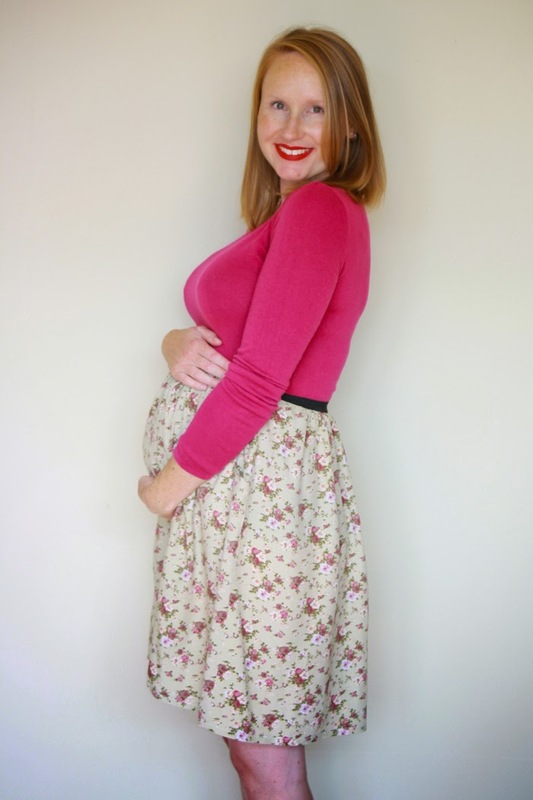 The bump is growing rapidly now, which means my insides have considerably less room than they did a week ago, and my stomach is now looking much more like a baby bump. 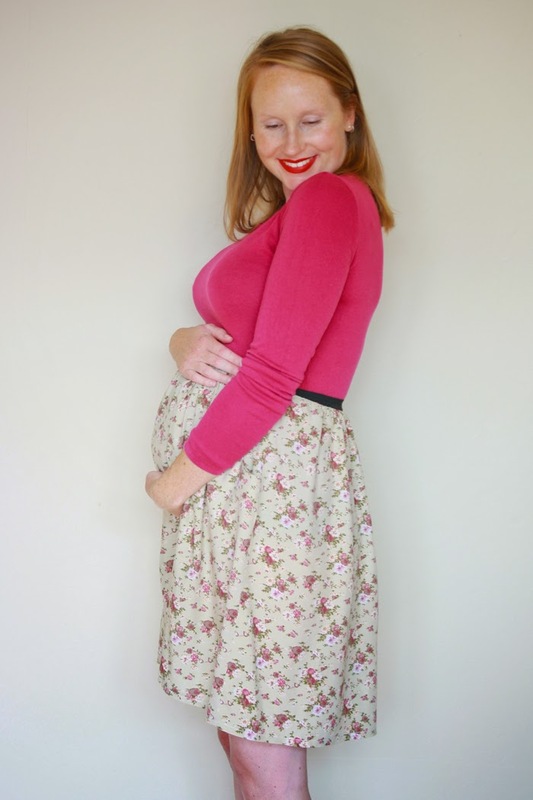 I am officially in the last week of my second trimester. I can't quite believe it. I feel like I say that every week, but as my due date approaches, everything just gets a little more real and although I have quite a bit on my plate to keep me rushing about over the next few weeks, it's those quiet times, just as you're falling asleep to the beat of little feet kicking at your kidneys, that you realise just how different things are going to be for the rest of your life. Better get in quick though, the sale ends at midnight on Wednesday 4th March (that's NZ time, so GMT+13). 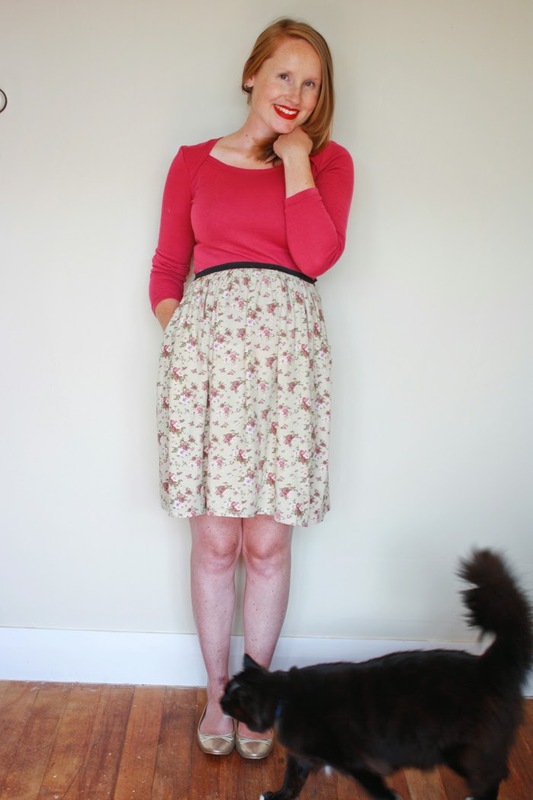 PS) It's back to my sewing room wall for pictures! * Once Paypal has directed you back to Indie Stitches, you'll need to insert the code there to have the discount applied. 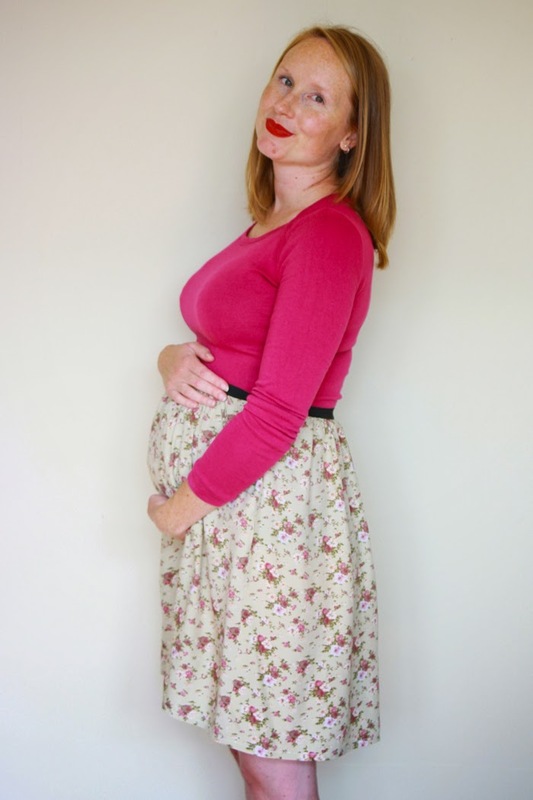 6 comments on "Me Made Maternity - Week 27: Squashed and Stretched and a Sale!" Lookin' good, mama! Not sure I miss the feeling of displaced insides (simultaneously in excruciating pain from heartburn AND starving to death! ), but the kicks are kind of sweet. Hehe, yes! Heartburn and feeling super hungry (but not being able to fit as much in as you want!!) are all things I'm totally feeling you on!! Your baby is growing fast! I love how those two garments go together. Asked Alyssa what was interesting about these photos and she said, "A baby!". I asked what the baby should be called and she said 'Tucker'. So there you go! 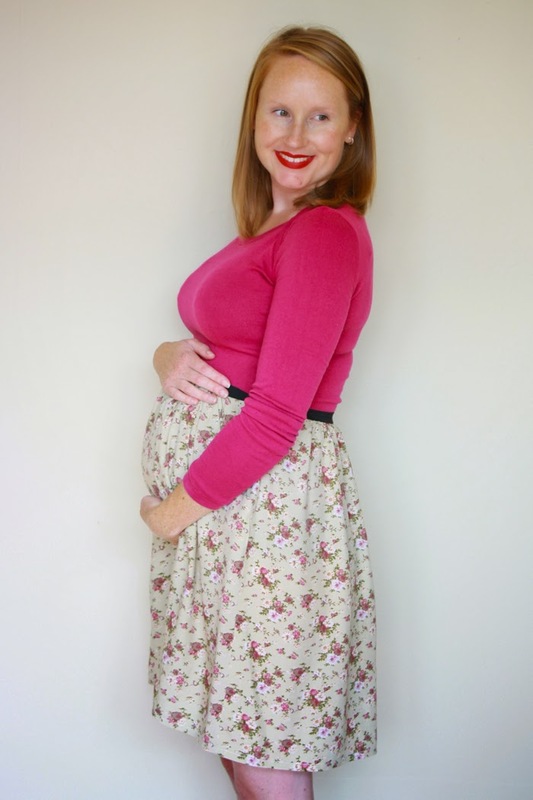 You are looking gorgeous and this week there is no disguising that beautiful bump - so exciting! Tucker huh? We do already have his name but I'll let David know it's been vetoed, hehe :) Thanks Alyssa! !